OK 123 (Old US 75) Caney River, Washington Co. This bridge is a genuine state treasure. 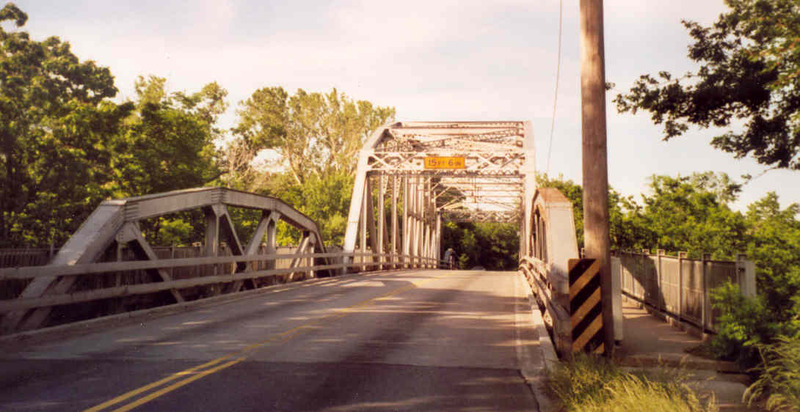 Built adjacent to a beautifully wooded park in 1937 by L. M. Mackey, this 210-foot K-Parker truss and flanking 100-foot pony spans cross the Caney River at a very attractive location. Not only that, but the bridge itself has been designed and installed in a very attractive manner. The deck of the bridge has a very beautiful vertical curve along the entire length, made possible not just by inclining the approach spans, but by varying the height of each floorbeam in all the spans to give the bridge an elegant, smooth look. This first photo, looking north, will aid at explaining what I mean. The already dignified beauty of the 210-foot span is enhanced by the pains the engineer has made to make this bridge unique from all the rest. 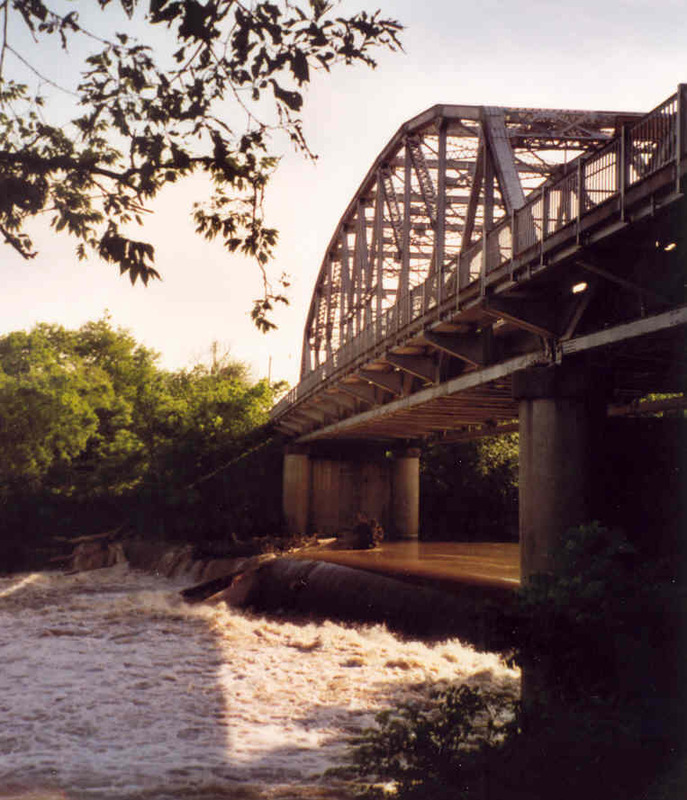 The bridge features a full-width road way and original, state designed and built with the bridge, pedestrian walks cantilevered outside the truss, delivering maximum safety to the pedestrians by isolating them from motor traffic by the magnificent truss. Above, a side view of this impressive bridge. 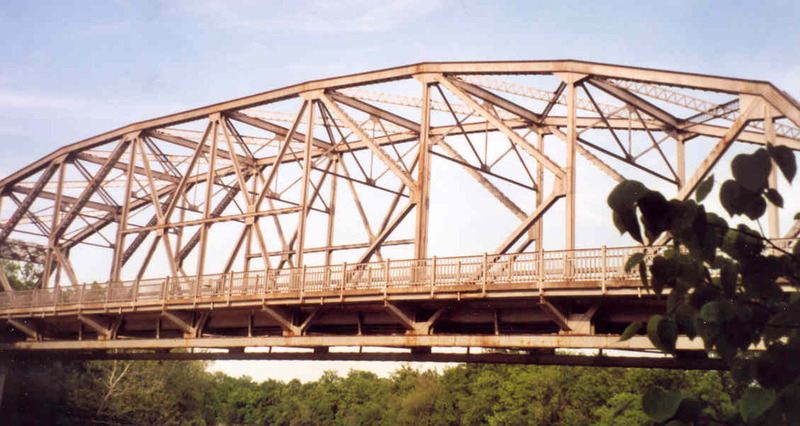 The 210-foot K-Parker truss has been a state favorite, and seven years after the type was introduced, the State Highway Commission built this perfect example, illustrating fully the unique possibilities of the design. 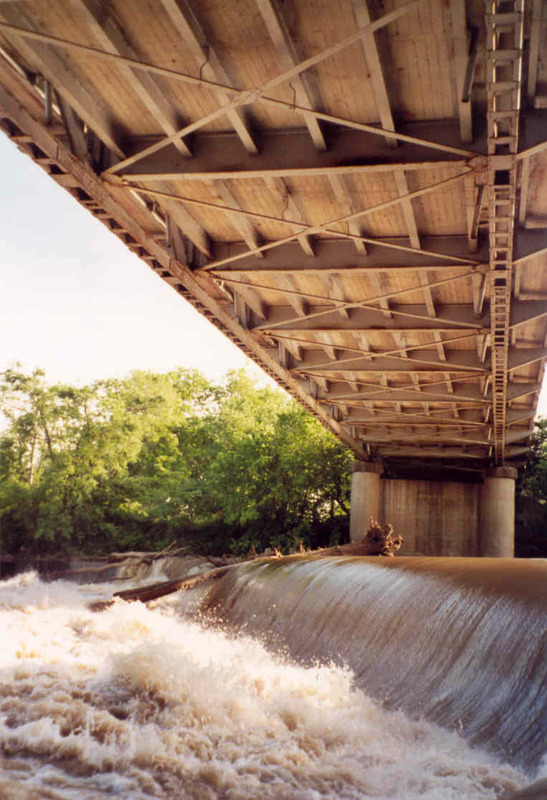 Of course, what makes this bridge really special is the dramatic low water dam below. The drop of the water may only be 15 to 20 feet, but it is still an impressive display of the raw power of water in motion. Above, you can see the waters of the Caney River churning up foam and spray as the waters rush over the crest at alarming speed. Below, along the side of the dam, the water is only a few inches deep, yet is moving so fast that to place ones hand in the current almost pulls the rest of the body in. 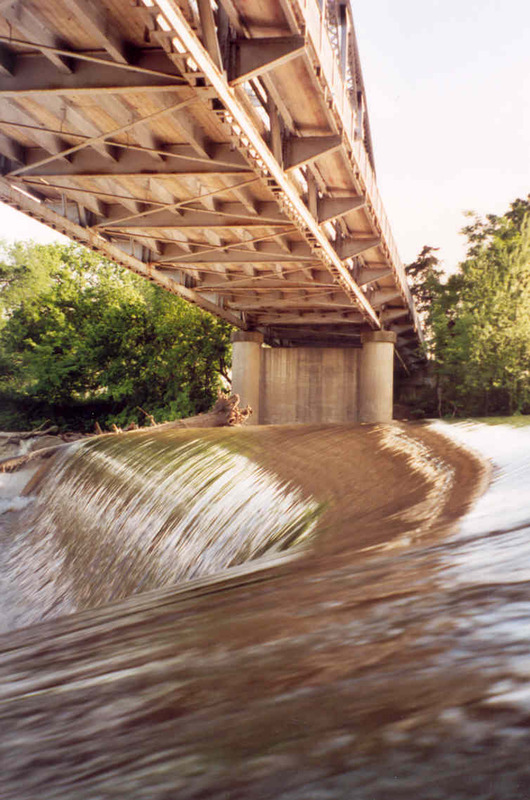 Below, the bridge and the water viewed together. This view is looking south. Below, a view of the underside of the sidewalks. 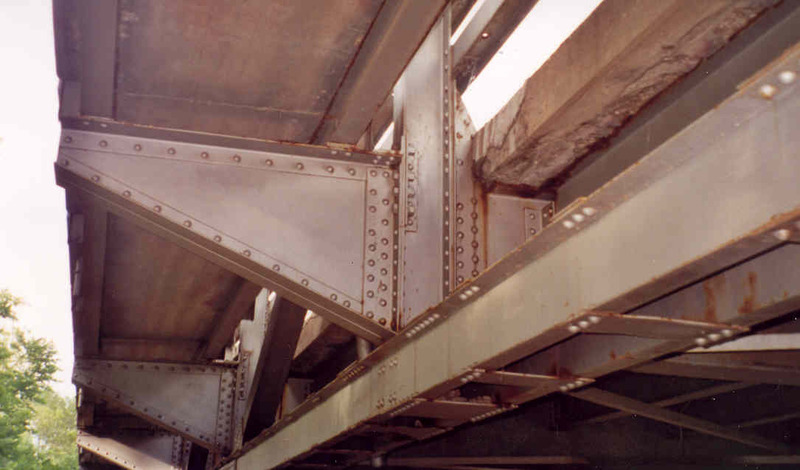 Note the use of bolts near the top of the cantilever. The cantilever arms are simply attached to the vertical members just as the floorbeams are.